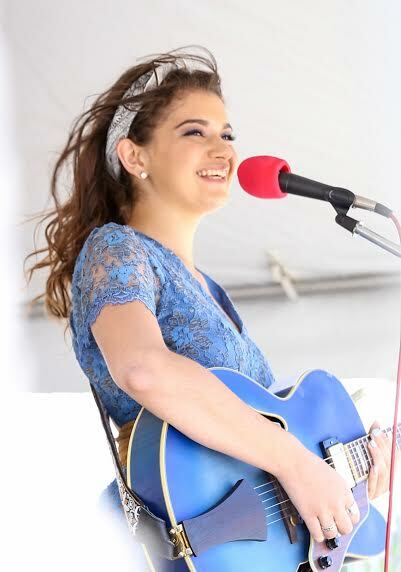 An Interview With The Florida-Based Rising Singer-Songwriter, NIKKI LICKSTEIN! 17-year-old singer-songwriter and multi-instrumentalist, Nikki Lickstein, is best known for her sincere and fearless approach to music. Nikki Lickstein’s lyrics- paired with bright, infectious melodies- are sweet, yet purposeful, and serve as a true testament to her fierce individuality. Though young, Nikki’s no stranger to the diligence it takes to be a musician. Discovered at age 15 by the Executive Director of the Nashville Songwriters Association International (NSAI), Bart Herbison, Nikki has spent the last two years writing under Herbison’s mentorship. As a member of both the Nashville Songwriters Association International and The Recording Academy, Nikki has regularly participated in many of the workshops, development and networking opportunities that these organizations have to offer. As a result, she has had the tremendous privilege of meeting, and always learning from songwriting greats such as legendary songwriter/producer Phil Galdston (Vanessa Williams, Celine Dion, Beyonce, Esperanza Spaulding), Lance Carpenter (Kelsea Ballerini “Love Me Like You Mean It”), and GRAMMY Award-winner and publisher, Liz Rose, perhaps best known for co-writing Taylor Swift’s “Teardrops on My Guitar” and “You Belong With Me,” Little Big Town’s “Girl Crush,” and Eli Young Band’s “Crazy Girl.” Additionally, Nikki had the phenomenal opportunity to learn from Liz Rose at The Liz Rose Workshop as 1 of 18 writers from across the US and Canada, and looks forward to continuing opportunities to learn from Liz this spring. Some of Nikki’s performance history includes playing WIRK’s Rib Roundup Country Music Festival two years in a row (most recently sharing a roster with the likes of Jake Owen, Luke Combs, Kane Brown, and The Cadillac Three), as well as the BandsAndBrews Craft Beer & Music Festival (sharing a stage with Ashley McBryde and Emily Brooke). Nikki’s music has also had the great support of radio airplay. Along with the domestic support, Nikki’s first original, internationally launched single, “Ex-Crush,” spent 2 months at #1 on XRP Radio’s Top 40 and remained in the same Top 40 for 3 consecutive months. 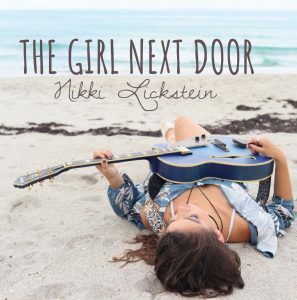 Between this, a standing nomination for an American Songwriters Award in the Teen Category, and her Second-Place title in the association’s Top 40 Songs competition, “Nikki Lickstein” is sure to be a household name. With the greatly anticipated release of her latest single, “Girl Next Door,” follow Nikki Lickstein for updates on all upcoming performances, collaborations, and involvements. Currently I’m at my performing arts high school, just finishing up my music theory class. Later today I have orchestra class, where I play double upright bass, and then I’ll go to jazz band rehearsal, where I play guitar in the rhythm section. Then I’ll drive home from school, probably avoid my homework and write songs instead, eat dinner, hang out with my super cute chihuahua (Olly), and watch the Heat game with my dad when he gets home from work. Overall, I think 2017 was a great year for my career, a step in the right direction. I played my first large festival; Rib Round Up, and my song, “And I’m Still Single” got radio air play, which was super exciting. I also participated in some awesome songwriting workshops, including one at NYU and NSAI’s program with Grammy award winner Liz Rose. One big goal I have for 2018 is to continue to grow both as a songwriter AND a performer. Growing up, did you ever think that this would be the kind of life that you would? I have two fairly early musical memories. First, is as a little kid, probably starting at the age of 2, I would listen to this Kenny Loggins CD that my dad had gotten me every single night, in order to fall asleep. I remember how calming it was. Secondly, in preschool, I think I was 4, we were having show and tell and this girl Ashley brought in her guitar. That was the first time I had ever laid eyes on an instrument, but I just got this feeling, I knew that it was meant for me. I wound up going home and asking my parents for a guitar, and having not even started Kindergarten yet, their first response was no. But after asking every day for a year, I finally got my first guitar and began lessons. I have now been playing for well over a decade. What was it like getting discovered by the Executive Director of the Nashville Songwriters Association International? To be honest, it was pretty surreal. At the time, I had no clue that there was this whole world of songwriting and publishing, that there was such a community of people who did what I did. To be a part of that is something very special and NSAI welcomed me in right away. The Executive Director has never steered me in the wrong direction and to have met him so young, my freshman year of high school, was incredibly lucky. I was just playing at a fundraiser at the Funky Buddha Brewery in Boca, my grandparents had driven me there, and honestly I didn’t think anyone was listening to me or paying attention. But when I got off stage, Mr. Herbison introduced himself and gave me his card… the rest is history. What do you think you have learned from being a member of both the Nashville Songwriters Association International and The Recording Academy? Through NSAI I have really learned a lot about technique in songwriting, honing in on the craft itself. I’ve learned about different rhyme schemes, tools used to capture the audience, developing a good hook in a chorus, the perfect radio friendly length of a song, and how to accept critiques when people don’t love your music. I’ve learned how to be the best songwriter I can be. Through the Recording Academy membership, I have been able to network, it’s all about the people you meet and just putting yourself out there. Let’s talk about your latest single “Girl Next Door.” What was the inspiration for this track? How do you think it compares to anything else that you have released? To be honest, the “Girl Next Door” inspiration came from, well, the boy next door. Actually he lives two doors down if we’re getting technical, but still. Anyways, we grew up together, bouncing back and forth from each other’s house, family birthdays shared, playing in the cul de sac, since the first day I moved into my house, he was there. I always dreamed about dating and we liked each other on and off, but it just never really happened for us. When he went off to college this past fall I was thinking about how maybe it just wasn’t meant to be, and thus, the song was born. Soon! I have been working so hard on creating new content and pushing my boundaries musically and lyrically for my fans. I want to stay true to myself, but I am also growing as a young woman, and I think my music is, too. My sound is more mature. I’ve been recording my latest stuff in Nashville and hope to release it in the near future. So far, my favorite performance would probably have to be this past year’s Rib Round Up on the Rib Stage, the crowd was great, and I love my band. We click well together and the guys and I just had a great time up there. Also, the weather was perfect that day and I got to meet some of the other incredible performers. I am so thankful to WIRK 103.1, Sammy Cruise, and everyone over there who has been nothing but kind and helpful, providing me platforms like this one. When you aren’t or working on new music, what do you like to do for fun and unwind? In my free time I enjoy reading and writing poetry, dancing, hanging out with my friends, and watching Miami Heat games. I also enjoy volunteering at the Big Dog Ranch Rescue and working with animals. I like having fun with my sisters and working out, too. I’m not much of a shower singer to be honest, but car singing is a whole other story. I love putting together playlists for different car rides and just jamming out at the top of my lungs. I also work as a singer at a local restaurant, so you can find me doing my thing there often. Being a musician gives me the chance to touch others through my art and express myself at the same time. Music remains true though out trying times, and I think it tends to reflect current events, whether that be political or not. Billy Joel, Norah Jones, Meghan Trainor, Taylor Swift, Stevie Wonder, James Taylor, Kasey Musgraves, Kelsea Ballerini, and Maren Morris to name a few. A feeling that they are not alone. That someone is there. I hope they dance and sing along. I hope they laugh and I hope they feel the honesty in my music. An Interview With BENJAMIN JAFFE On His Solo Debut Album, ‘Oh Wild Ocean of Love’ and More!